What Are 3 Basic Steps to Test Driven Development (TDD)? 1). Write a test that specifies a bit of functionality. 3). Write only the code necessary to make the test pass. So why do Test Driven Development or TDD? What do we gain from using TDD? 1). When our tests pass without errors or failures, we can be certain that our application works just as we want it to—given that we wrote our tests well! 2). Second, by first setting the goal (the testing code) and then implementing it, it will make the coding a lot easier and concise. 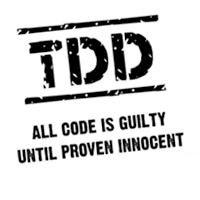 To understand the idea of TDD is extremely important.